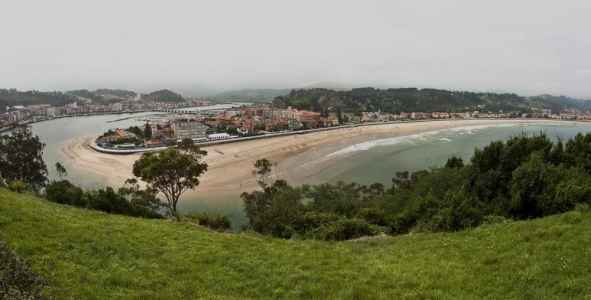 Ribadesella belonging to the Principality of Asturias. 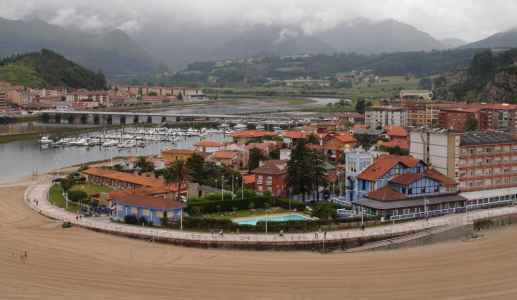 Bordered on the north by the Cantabrian Sea, on the east by Llanes, on the south by Cangas de Onis and Arriondas Caravia and west. Founded by Alfonso X the Wise. 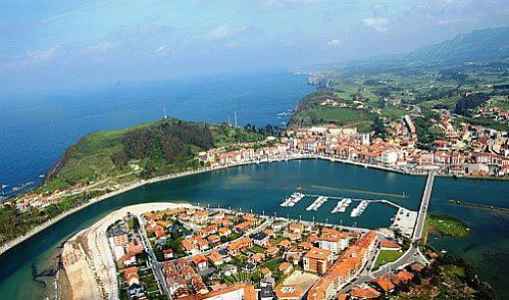 He was one of the main ports of the nineteenth century Asturian. It has a population of 6,300 inhabitants. The council also has numerous companies involved in adventure sports, such as canoeing, caving and climbing. The first Saturday in August after day 2 hosts the famous Sella, which attract athletes from around the world and a great feast is held locally. Ribadesella also notable for the variety tourist offering, and especially the activities surrounding the cave of Tito Bustillo, famous for its prehistoric paintings. · Route Port, set of six panels, painted by Antonio Mingote, Paseo crane that review the history of the town from prehistoric times to the present day. · Walk to the beach and beach of St. Marina, with its magnificent houses of Indians. Proximity to site: 7 kms. 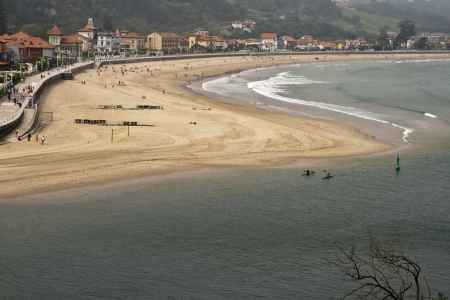 Santa Marina Beach is in Ribadesella, at the mouth of the River Sella. It is an urban beach with large houses of Indians, terraced houses and new developments. The beach has a length of 1,150 meters and 30 meters wide, though, with the tide usually lose sand. It has different areas for your enjoyment, some are sandy stretches, other songs and other mixed, although they can vary somewhat depending on the tides to be at the mouth of the estuary and the open sea. You can also walk along the beach so much, for all that skirts walk from the bridge of the river, to the parking lot, located at the end of the beach. It has all the amenities of a large urban beaches, such as rescue and surveillance, no problems with car access, has streets and parking lot open at the end of the beach. The descents are on the beach ramp, no stairs. It also has bars. A beach suitable for surfing even when there is little sea, it is advisable to move vega beach because, usually, often slightly lift the waves on the latter.